I am in the midst of an annual reminder of my inadequacy at financial record-keeping: tax time. Once again, I found myself staring at a stack of receipts that weren’t even in chronological order and which needed to be matched up with incompletely-tagged records on Intuit’s Mint.com. With that done (I think), there’s a largely-vacant business-mileage spreadsheet to fill out by cross-referencing my calendar with Google Maps driving-distance estimates. I assure you that I don’t operate at a Gene Weingarten level of financial absent-mindedness. I pay my bills (though it helps to set up some for automatic payments) and I have a pretty good idea of my bank account balance on a given week. It’s just that I have a habit of letting other financial chores slide until a deadline compels my attention. And this year, it’s a lot more important that I not neglect any legitimate business expenses, lest I make a overly generous contribution to the Treasury Department. (I’ll leave the subject of how the tax code is stacked against the self-employed for another post.) So even though I’m officially giving up on preparing my own taxes, I still have to line up this data in formation so my preparer can plug it into the appropriate forms. I’ll get it done. But I seriously don’t need to repeat this experience next year. Is there an app or Web service I should have been using all along? What works for you? Or should I just add these record-keeping chores to my productive procrastination workflow of things to do–like, say, writing posts on a personal blog–when I’m avoiding work? This entry was posted in Occupational hazards, Politics and policy and tagged accounting, finance, record-keeping, tax by robpegoraro. Bookmark the permalink. I have to compile receipts etc. every month for company reimbursement. I’ve found that using a scanner app on my phone (on Android, it’s Document Scanner; others sing the praises of Evernote) is a must. As soon as I have a receipt, I scan it and dispose of it. I save a month’s worth of receipts as a PDF to my DropBox account and then file them by th 7th of the following month. I suppose Evernote would allow me to add notes, but I find I don’t have to do that very often. I also don’t know the legality of receipt copies vs. originals in the event of an audit (scans have survived at least one government audit at my organization without any kerfuffle). But the system works for me so far. 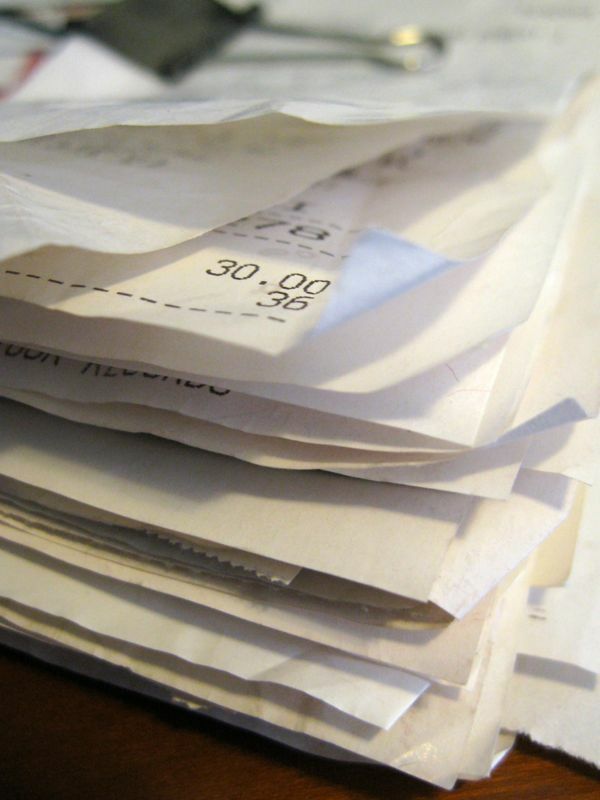 As a frequent Evernote user, I feel like a dope for not thinking of using it to scan receipts. Thanks for the tip. Also got a tip for https://www.shoeboxed.com/, but that’s a (somewhat) paid service. Still, better than nothing.